Christie's is a name and place that speaks of extraordinary art and international glamour. Founded in 1766 by James Christie, Christie's has since conducted the greatest and most celebrated auctions through the centuries providing a popular showcase for the unique and the beautiful. 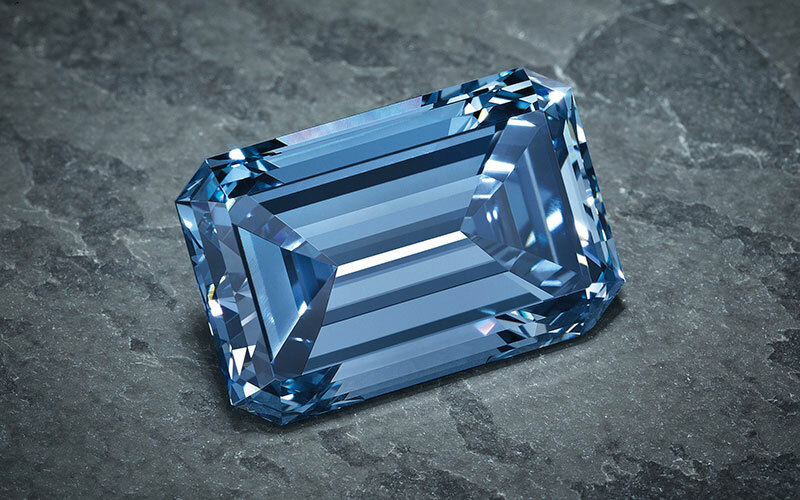 The Blue is a Fancy Vivid Blue pear-shaped diamond, weighing approximately 13.22 carats, flanked on either side by a pear-shaped diamond. Itold for $24,202,829 in 2014 at Christie’s in Geneva. The Perfect Pink is a superb coloured diamond and diamond ring set with a rectangular-shaped fancy intense pink diamond weighing 14.23 carats, flanked on either side by a rectangular-shaped diamond and mounted in 18k rose and white gold. 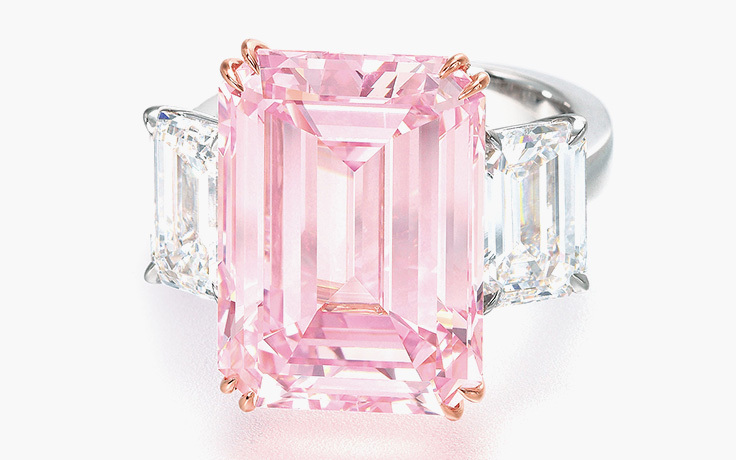 The Perfect Pink sold for $23,274,064 in 2010 at Christie’s in Hong Kong. 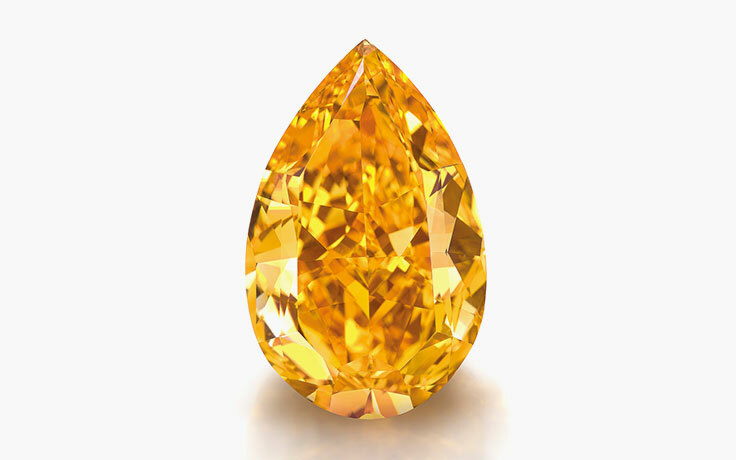 The Orange is the largest Fancy Vivid Orange diamond in the world. The Fancy Vivid Orange pear-shaped diamond weighing approximately 14.82 carats sold for $35,543,804 in 2013 at Christie’s in Geneva. 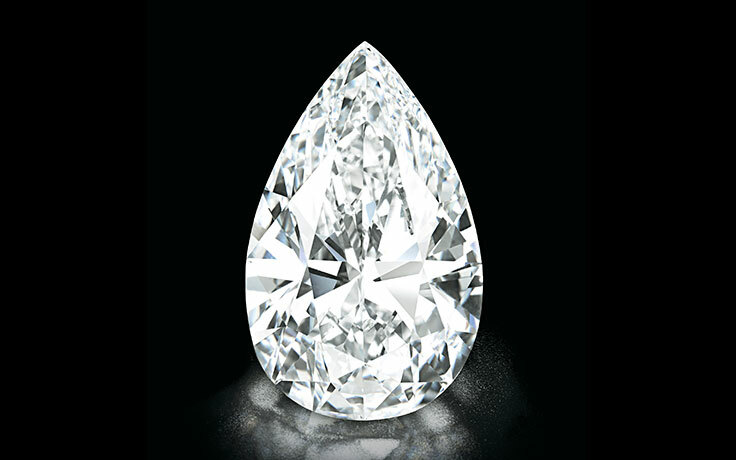 The Flawless, a spectacular and highly important diamond, is a pear-shaped diamond weighing approximately 101.73 carats. It sold for $26,746,541 in 2013 at Christie’s in Geneva. A Pink Masterpiece is set to be sold in Geneva on November 10th. This cushion-shaped Fancy Vivid Pink diamond is the largest of its kind ever to come to auction, weighing in at 16.08 carats. 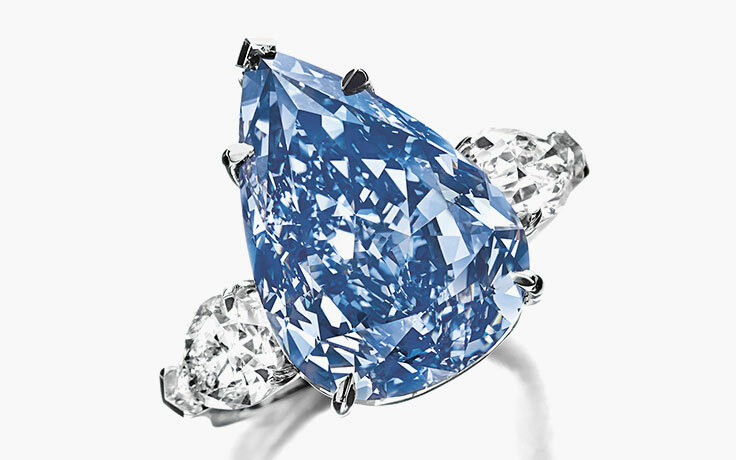 With an estimated value of $23-28 million, the stone is set in a ring, and is surrounded by a double row of pavé white diamonds, a third row of small pink diamonds nestled underneath. Read the full Christie's article here.